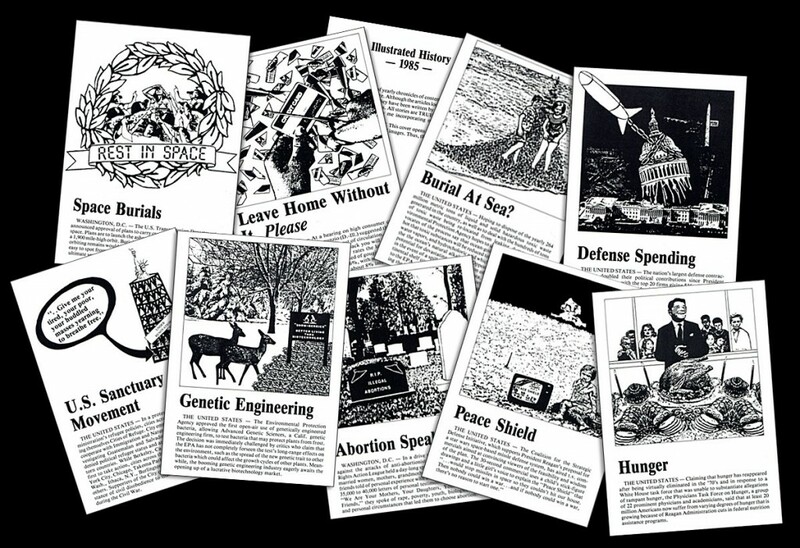 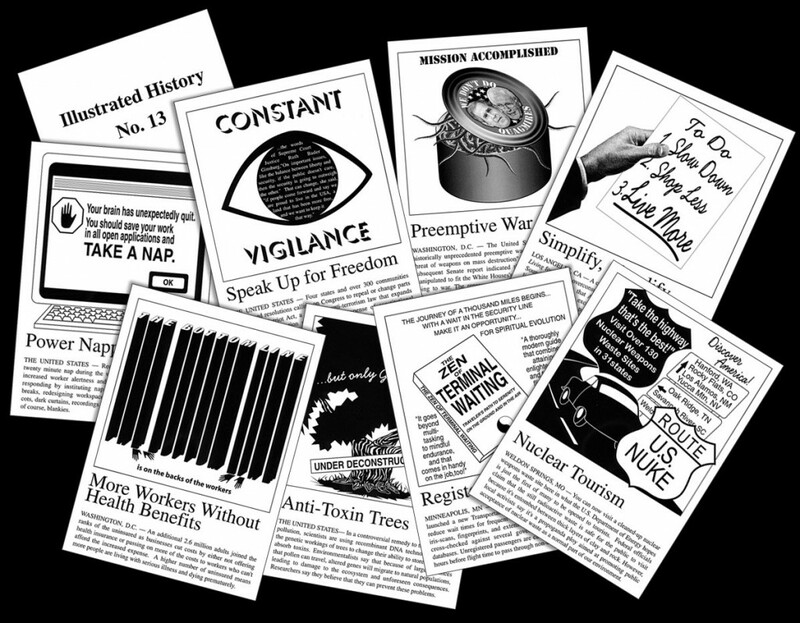 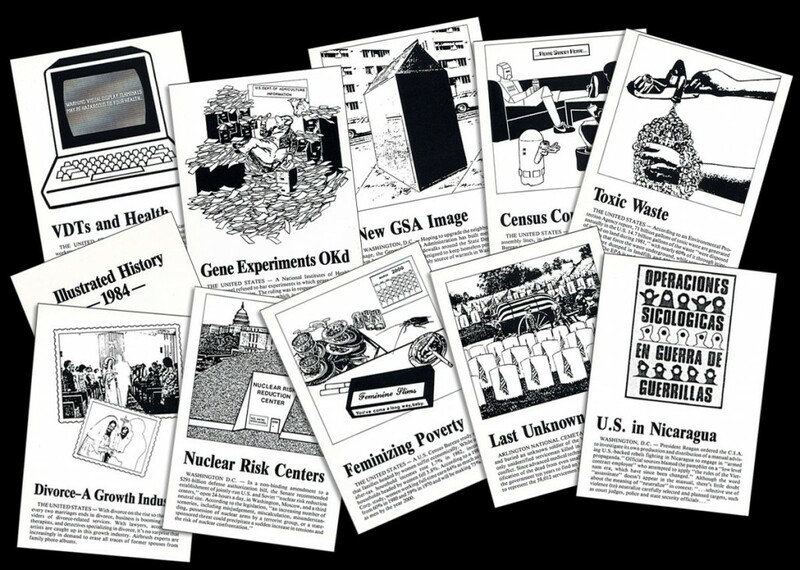 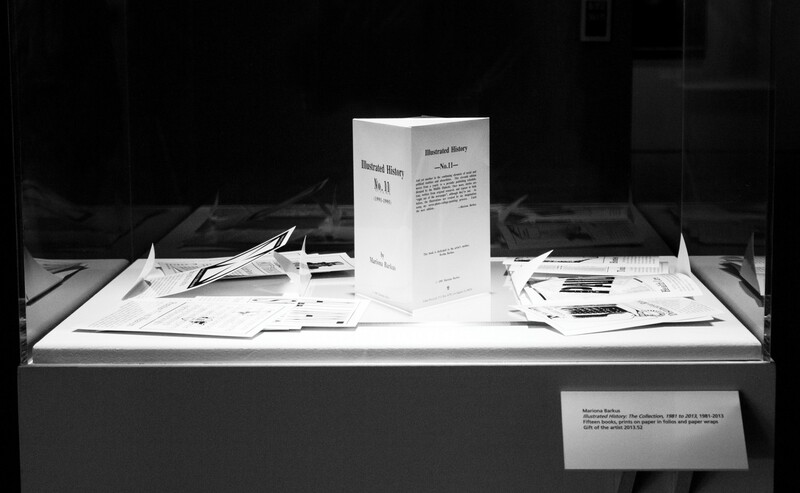 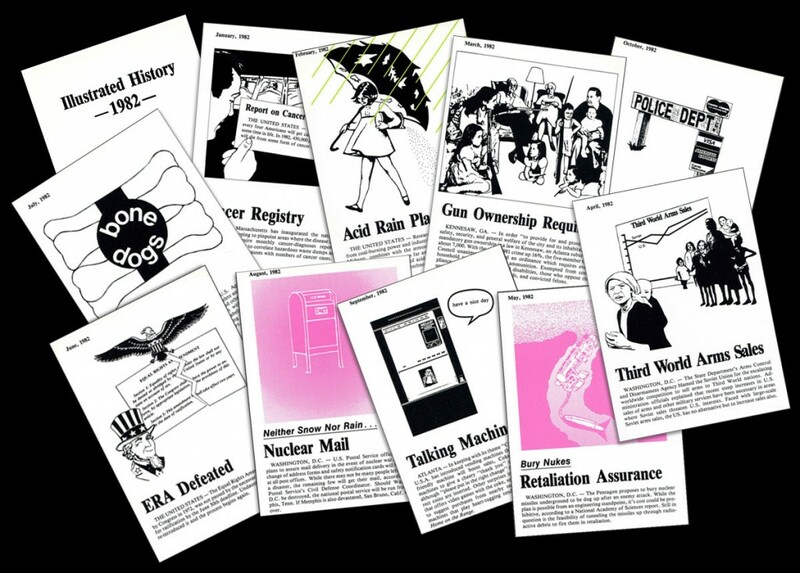 Since its inception in 1981, my Illustrated History series has chronicled contemporary social and political issues in the form of postcard folios, broadsides, and poster installations. 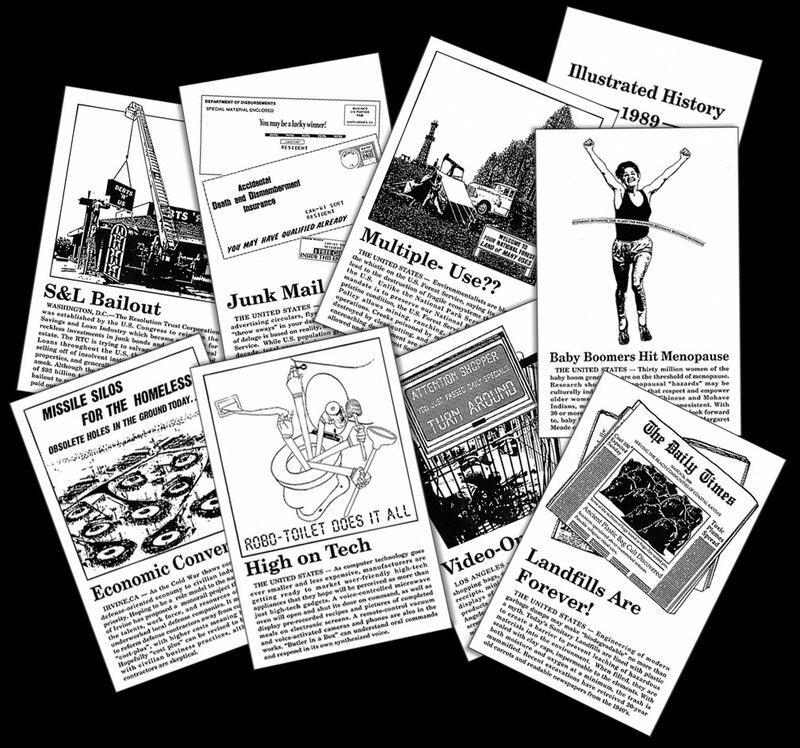 Images combine fabricated illustrations with factual texts that resemble a newspaper. 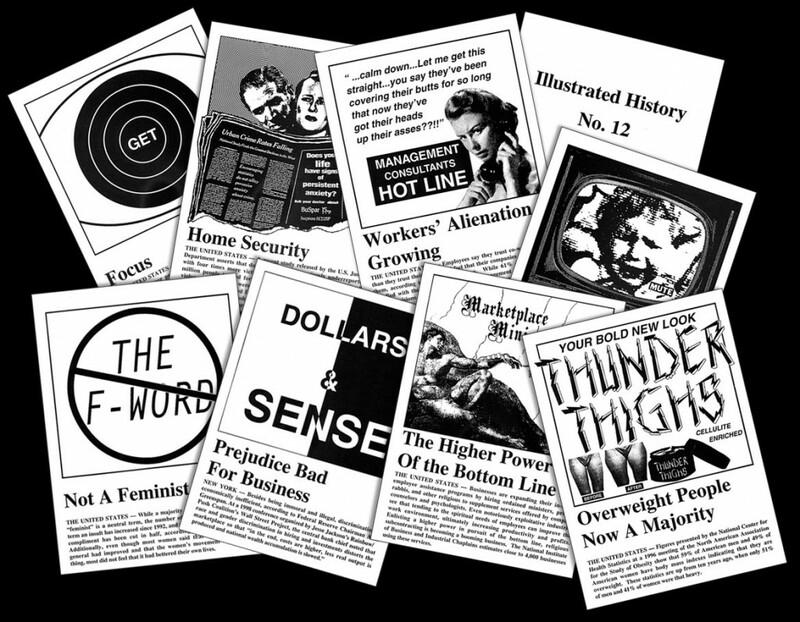 Featured topics are chosen for their impact on our future, the absurdity of their content, or for some combination of both. 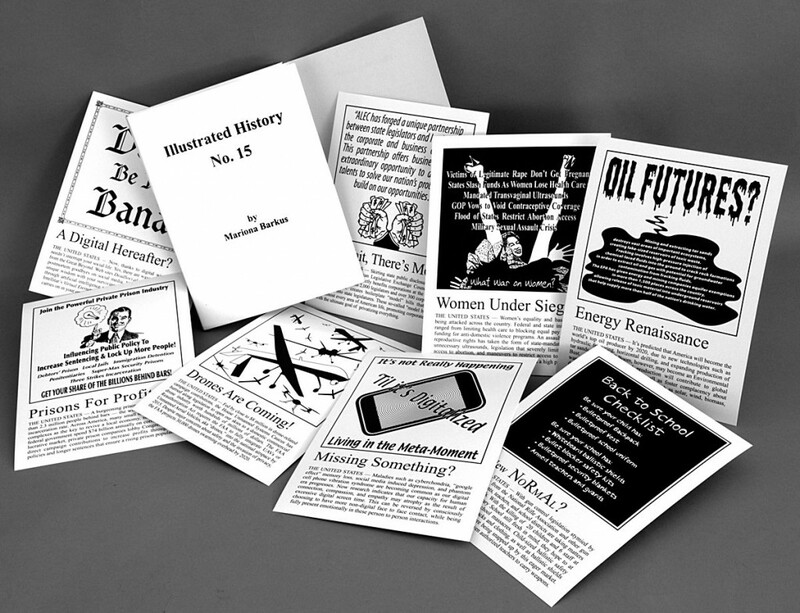 The discipline of continuing Illustrated History over the years has been an anchor of my artistic practice. 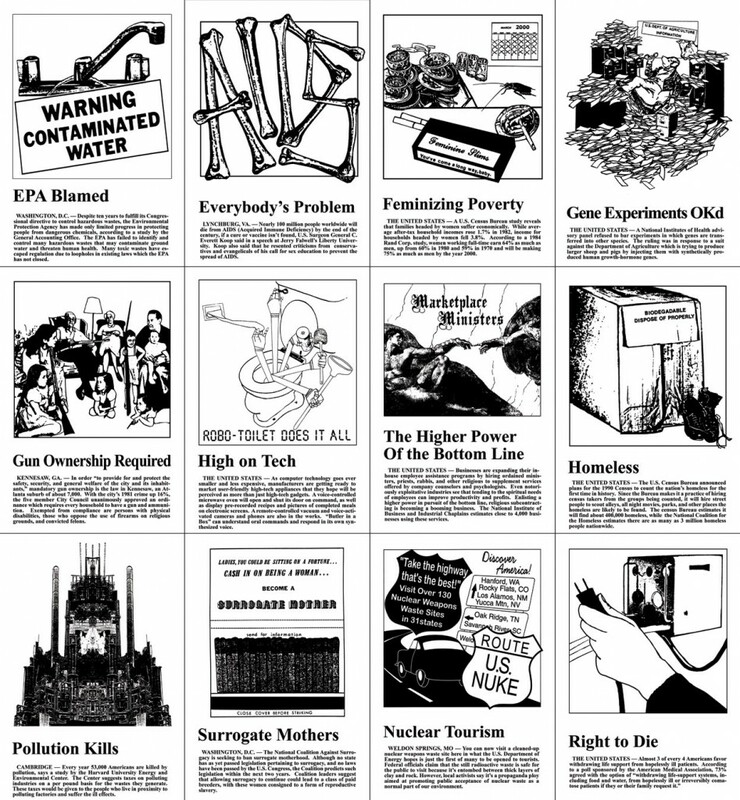 In 2006, seventy-five Illustrated History posters were exhibited as an installation in “Politick” at the Los Angeles Municipal Art Gallery.